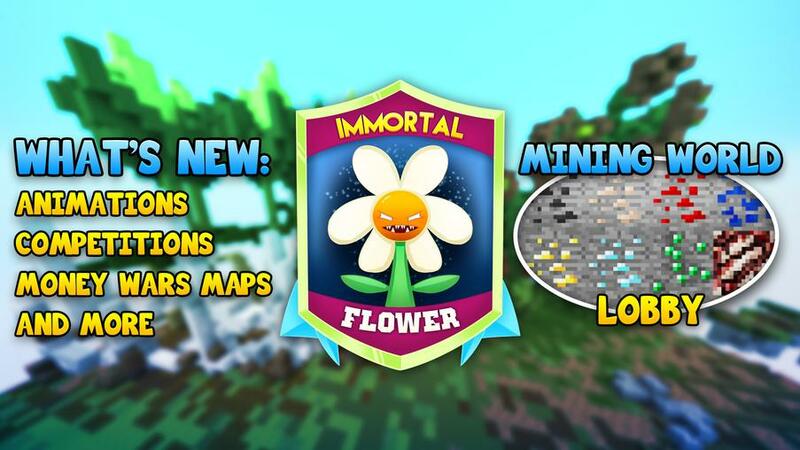 Flower iKit, Nourish Enchantment, Mining World Updates, +more! 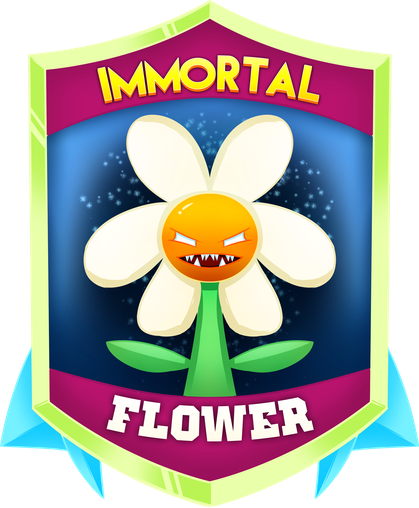 The Nourish enchantment joins our assortment of custom enchantments! Nourish provides an advantage while in combat with both players and mobs... the worry of losing hunger! When you take damage, you'll be given a temporary saturation boost to make sure you're kept fed. Your attacker also has a small chance to receive Hunger Poisoning, depending on the level of the enchantment. We've made some changes to how the Mining World works! This should increase your payout, make it more fun for new players, and help us prepare for future additions. 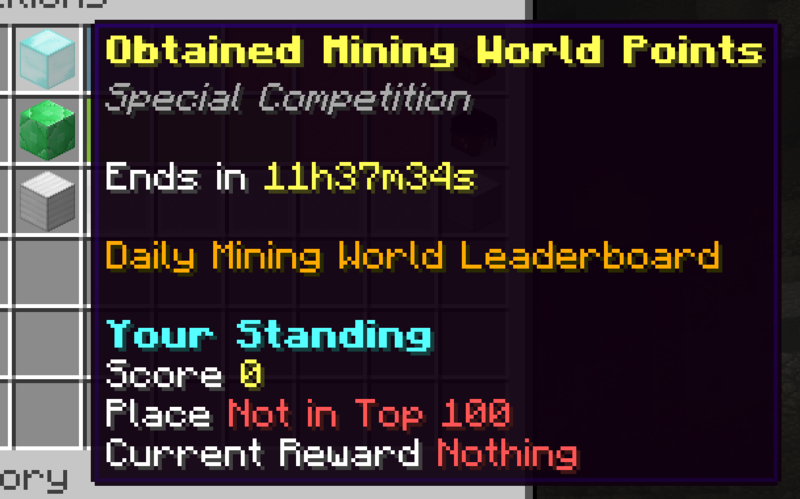 The Mining World now has a Daily Leaderboard Challenge. As you earn points in the Mining World, your score on this leaderboard will increase. Like normal competitions, the top 10 players per day will be rewarded. This challenge resets every day at midnight, EST. We'll be introducing more leaderboard challenges for other modes, as well as new rewards in the near future! The Mining World has a new lobby! 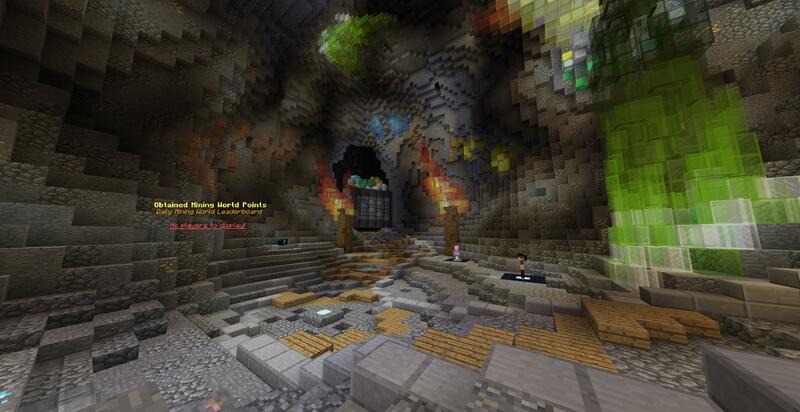 Travel through the portal at spawn to be teleported here. While here, you can access your vault chest to store items, queue for a match, or spend Mining World tokens. You can also view the Top 10 players on the current daily leaderboard. Our policy on some minecraft usernames is changing. If we believe your username is spammy (e.g, excessive symbols, letters, etc.) or inappropriate, your ability to chat or use some messaging commands may be disabled. This process is automatic and not controlled by our staff team. This change will take effect over the next 24 hours. Welcome to the CARTOON ISLANDS! Eternal Shards,Competitions, Limited Edition Warzone Loot, and more! 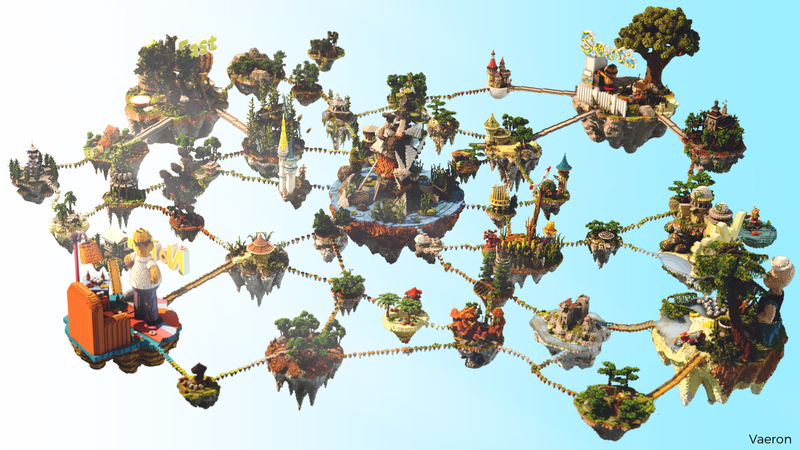 The Skybounds Network expands once again... this time we bring you the Cartoon World! Cartoon comes with a brand new warzone to explore, outposts, chests, and much much more! You'll also see some new schematics on both the premium and basic islands. 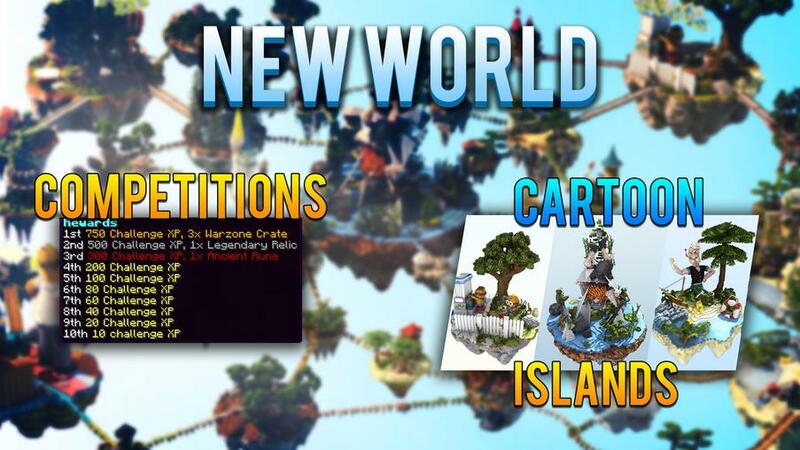 Access our new world by clicking on the brand new icon in your hot bar in the hub, between Money Wars and Ancient Islands. The XP bottle, like before, still shows your current XP, level, and the XP remaining to level up. If you're level 50, the icon to allow you to prestige will appear, represented by a diamond block. The minecart at the top right will bring you to your Skybounds Rewards, as before. Your campaign challenge is now front and center, with the glass in the middle acting as a progress meter to your reward on the right. 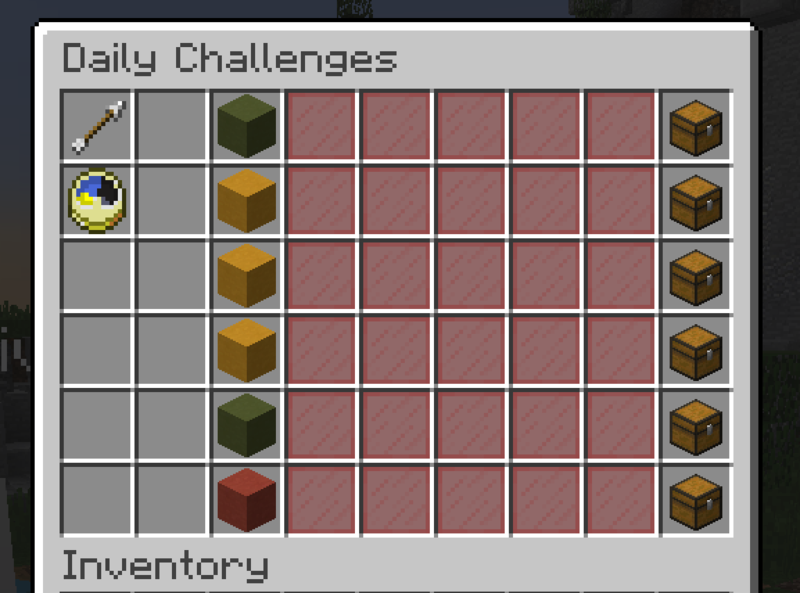 Your Daily Challenges have been moved to the book at the bottom! Click the book to view them. 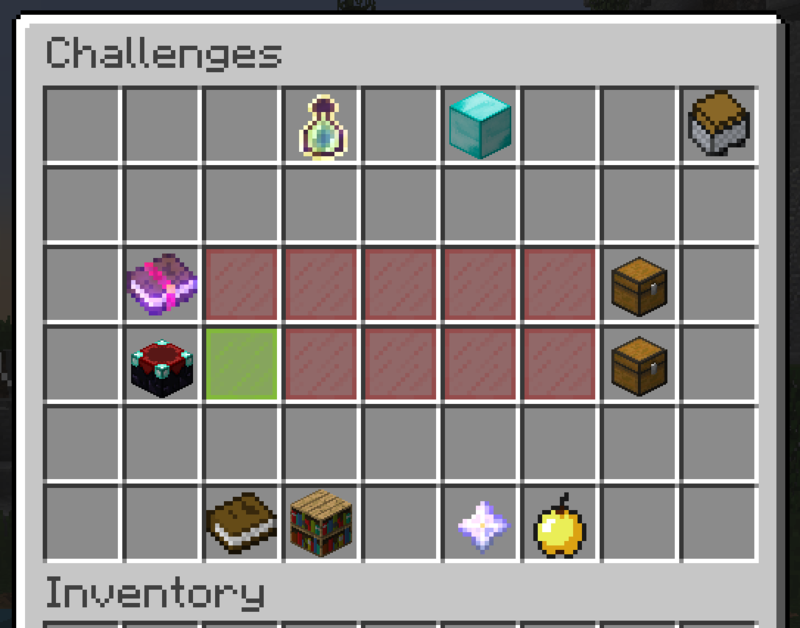 The Bookcase will still be your challenge selector. The Bonus XP Menu has been moved to the nether star. But wait... what's the golden apple for...?